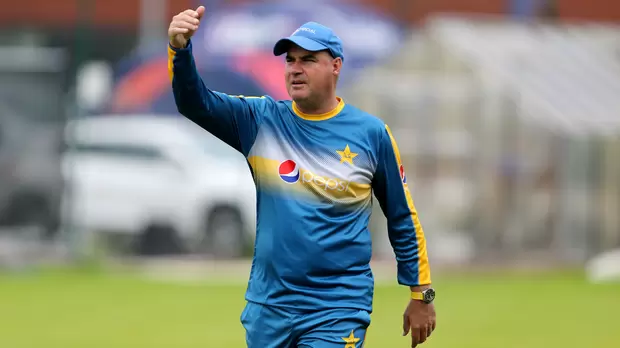 Pakistan’s coach Mickey Arthur says that the Australia series is a good opportunity for Pakistani cricketers to mark their spots in the World Cup. The five match ODI series is to kick-off today in Sharjah. Six players-Sarfaraz Ahmed, Hasan Ali, Babar Azam, Fakhar Zaman, Shaheen Shah Afridi and Shadab Khan will be taking time off in order to give a chance to other good performers to land a position in the World Cup tournament which will take place in England and Wales from May 30 to July 14. According to Mickey, it was a wise decision. “We designed this series for our players for the simple fact that we want to test our best bench players,” said the coach. He believes that the opportunity is excellent to test the skills and abilities of young players, and for them to earn their spots in the major tournament ahead. “To be honest, it’s a new squad. This is a series of opportunities. You don’t have to be a rocket scientist to work-out that a few positions are available for the World Cup. There are probably four available. Inzamam-ul-Haq and I have discussed that. So, these young players need to raise their hands up and try make those places their own. It’s an exciting time going into the World Cup. He further said that the skipper Sarfaraz Ahmed and Babar Azam both require rest. Mickey, who has previously coached the Australian team, also praised their performance.